Steam install script tries installing DirectX, PhysX, XFire and some fonts on each launch. Can also launch loader.exe manually. Supports widescreen, but can't manually set resolution. 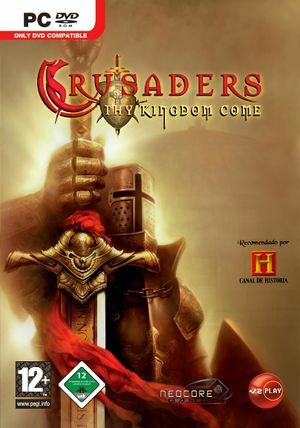 Crusaders includes version 7.0.12 of PhysX system software. Despite installation, the game doesn't detect PhysX. ↑ 1.0 1.1 File/folder structure within this directory reflects the path(s) listed for Windows and/or Steam game data (use Wine regedit to access Windows registry paths). Games with Steam Cloud support may store data in ~/.steam/steam/userdata/<user-id>/24410/ in addition to or instead of this directory. The app ID (24410) may differ in some cases. Treat backslashes as forward slashes. See the glossary page for details.